The word Radler translates to “cyclist” in German… which is who they were created for! A tradition that has been a part of Germany for centuries, cyclists would bike to a beer garden as a means of getting out for the day. As a refreshment, the Radler became the perfect alternative to heavier beers. The traditional Radler is a 50:50 blend of sparkling lemonade, usually involving wheat beer or a light lager. Newer alternatives to the classic Radler are gaining popularity nationwide. Adding a variety of flavors, for example the Boulevard Lemon Ginger Radler, is starting to be the trend we’re seeing. Schöfferhofer, also known as the champagne of wheat beers, brings their legendary wheat beer together with grapefruit soda. The combination works well due to the fruity nature of the beer itself. 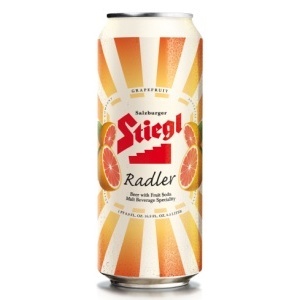 Steigl Radler is mixing up tradition with the flavor combination of grapefruit and a light lager. Radlers are true “session” beers, generally clocking in at around 3% alcohol. Local beers which we love for summer absolutely includes 4 Hands Contact High. They infused a light wheat beer with tons of hops and then dry-hopped the brew with orange zest. A natural tasting orange blend with a rich citrus aroma quenches thirst on a summer day. Schlafly Summer Helles is a perfect solution to hot days and an easy Summertime grab. Using German yeast and British, Bohemian and German brewing traditions, this light beer stands on its own. It holds hints of lemon with a natural spicy flavor. For a sundowner or lunch accompaniment, Perennial Hopfen Tea is a special fruity and tart beer. They add a homemade tea blend with hints of apricot and botanical aroma into their German Berlin wheat beer. This light, tart beer is a welcome alternative to heavier beers on a hot day. All of these beer blends were created to celebrate hot summer days, Make sure to give them a try as a fresh alternative and see what other amazing summer brews we have in store! Check out what Sauce Mag had to say about us! We couldn't be more humbled and happy to be on this list! Thanks Sauce Magazine!